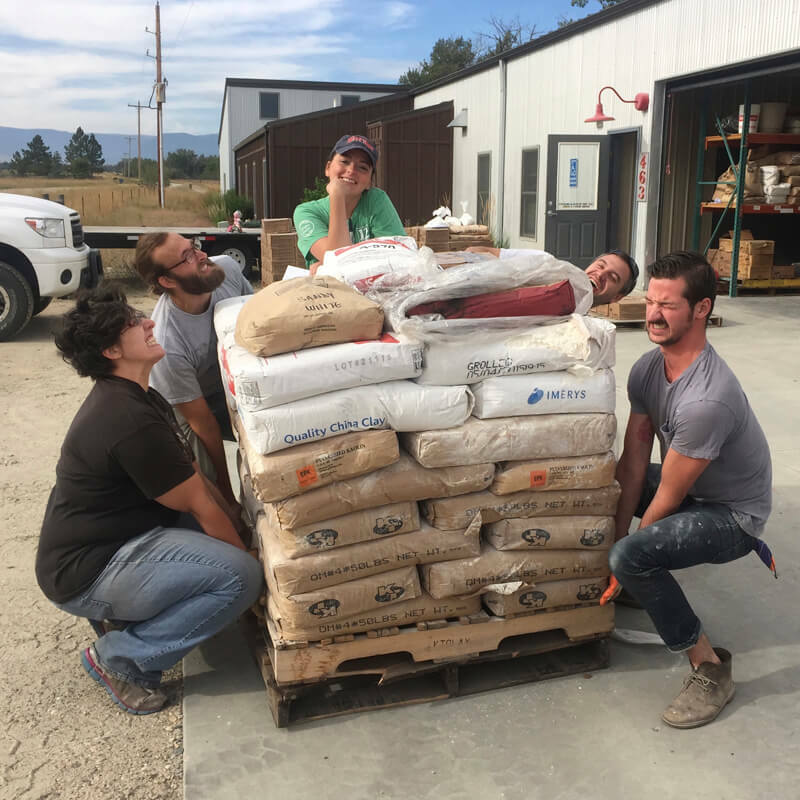 Orders for clay and dry materials may be placed with the Red Lodge Clay Center during regular hours of operation: Tuesday-Saturday 10 AM – 6 PM and Sunday Noon – 4 PM MST. Orders over 150 pounds are available for pick-up by appointment at the Fox Studio Monday-Friday 10 AM – 5 PM MST. Orders 150 pounds or less are available for pick-up at the Gallery Monday-Friday 10 AM – 5 PM MST. Special accommodations are available for pick-up upon request.